sadie + stella: Do you know about Furnishly? As they say, one man's trash is another man's treasure. Girls, you know me, I am totally head over heels for unique pieces at a bargain price. Which is why Craigslist is a major go to for all of my clients DIY furniture and decor needs. 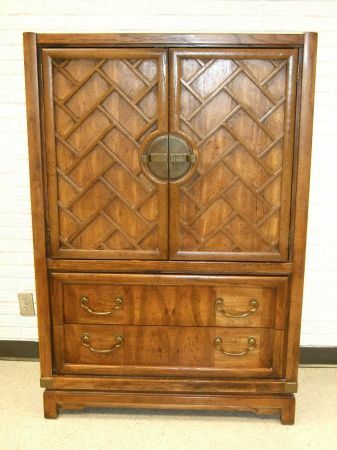 My biggest beef with Craigslist is that I have to scroll through pages and pages of misleading titles such as: "Beautiful Campaign Dresser" when really it should be "Narsty old irreparable pine cabinet from your Grandma". Or "One of a kind bamboo barcart" when it should really be titled "Original Wal-mart tray table purchased on a rollback." I mean, you see what I mean about the ol' bait and switch here? Enter my new most favorite service and design tool, Furnishly. 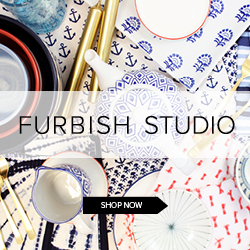 Furnishly is a site that is dedicated to the design community as a marketplace for furnishings and is conveniently broken out by city. The site is user friendly by pulling out the most aesthetically pleasing pieces for viewing, and also doing it in a thumbnail fashion so you don't have to scroll through those lame brain titles. Anything that enables my laziness I am on like white on rice. 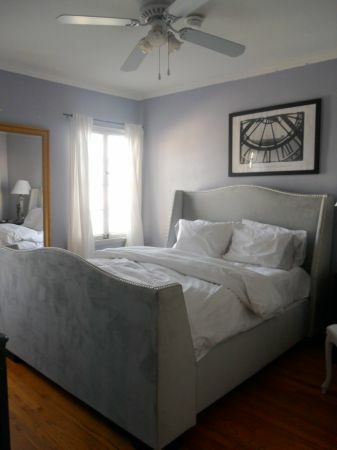 Most of you already know, my design services offer a thorough scan of Craiglist in my clients city of residence, to find pieces that would work in their space either as is, or with a little DIY/TLC and whatever acronyms I can fit in here. EVOO is not appropriate here. Sigh. Anyhow, Furnishly offers their service in most major cities as of right now. 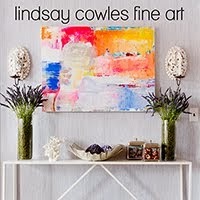 I have scoured through all of their cities they offer to select the best of the best pieces. If you people live in these cities, please go and buy these pieces so I know they will have a nicely decorated home. Just do it to ease my fears. Afterall, it is all about me. 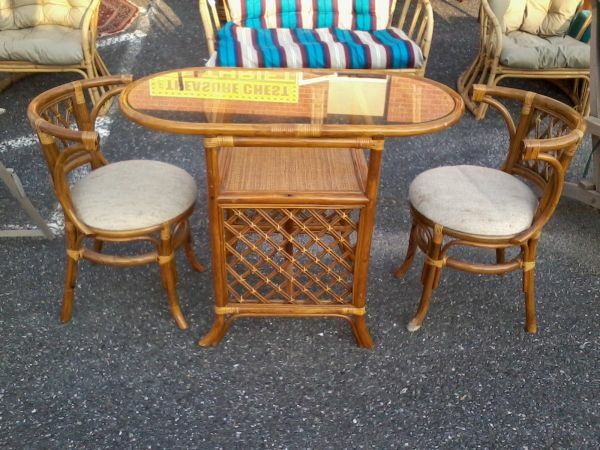 I am sure you all remember these tables that I scored here in Richmond? Let me refresh your memory. This is what I did with them. I totally found these off of the Furnishly for Richmond site a few months back. Let's get down to the biz and show you all of the other awesome pieces, by city, that you should check out. First up, the NYC. 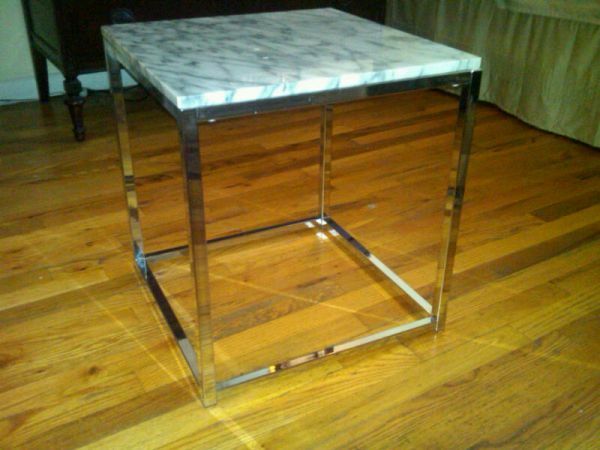 This straight lined marble side table is begging to be placed in my house. Begging I tell you. You damn New Yorkers and your fabulous things. Lovely chair for sitting, reading and whatever else you care to do in it. 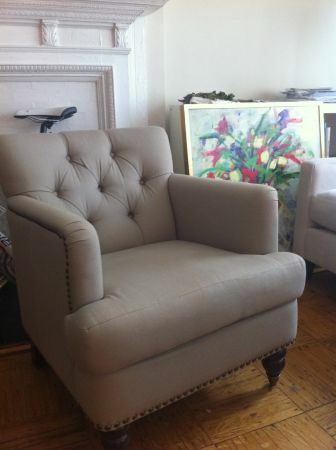 Beautiful tufting and nailhead trim. Love. 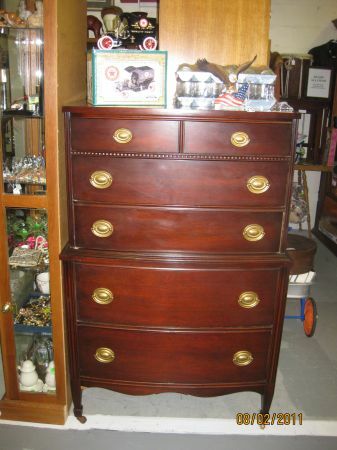 For all of you Washington DC-ians, someone needs to get out there and make this dresser their own. What is not to love? The detail is amazing and I am thinking painted in the perfect color, this would be the most. My gals in Hotlanta, get it while its hot. 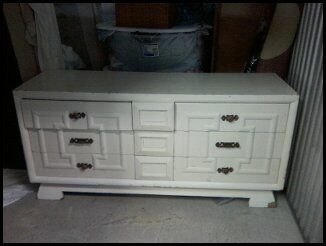 Another piece that is dying for a paint job. This would be so adorbs in one of those super chic kid rooms that we discussed yesterday. Yes? Another piece that is dying for a paint job. The handles are killing it though. Deep in the heart of Austin, Texas. Oodles and oodles of potential here. Great detailing and charm, waiting for the perfect shades of grey. Get your mind out of the gutter. 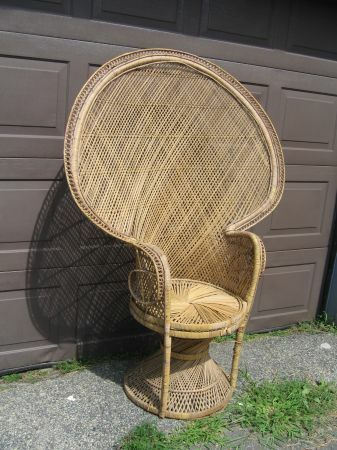 To all of my people in Boston, if someone does not pick up this peacock chair this instant, a tantrum on my part will ensue. OMG. Jealous rage over here. I am not creative, therefore I have nothing "catchy" to say about Baltimore. 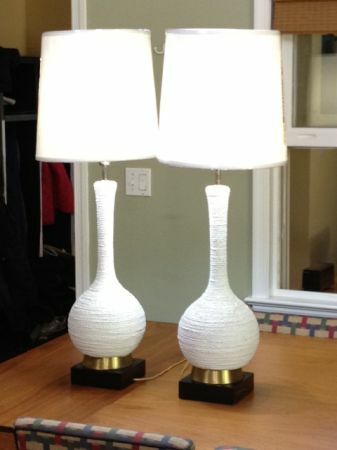 Sorry Baltimore, but you do have some awesome lamps. Someone find a home for these, will ya? Painted and reupholstered, this set would be everything. Chitown. 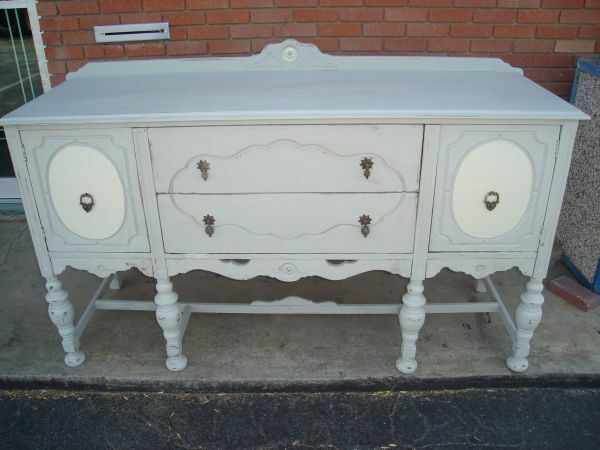 Leave it to you to offer such a fab piece. 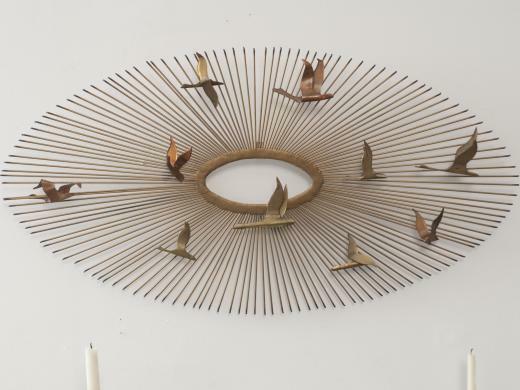 I could think of many places and spaces this piece would perfectly adorn. Super unique wall installation that would absolutely kill it in the right space. Dressed in the right color, this piece would be the perfect statement piece in any room. 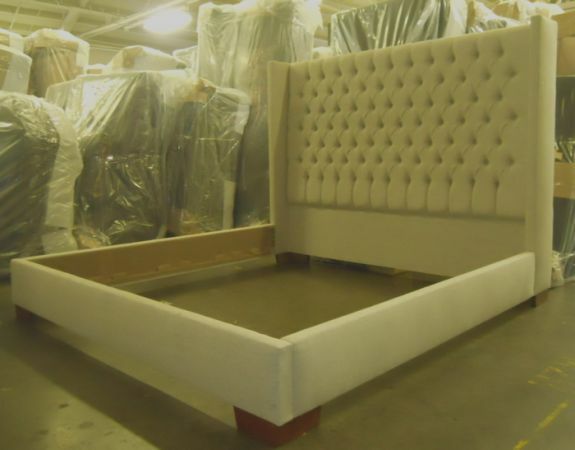 Have I ever met a piece of Hollywood Regency inspired furniture that I didn't like? Answer is no. How are things on the West Coast? I think they are lookin' real fine. 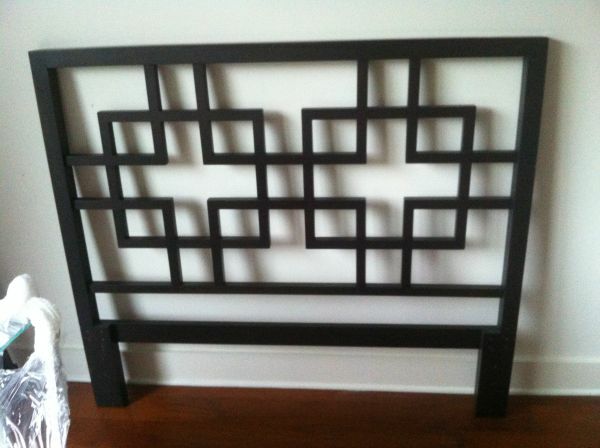 Gotta love a customizable headboard/footboard combo. Totally into that. I mean, are we impressed or what? Lovely pieces for my lovely people. Go and check them out and let me know what you find! Loves! You could always scour a nearby cities!!! I am sure they will be setting up Charleston soon! You just made my morning...until I realized there is no Charlotte on there...I'm in a burb...waaaah! I don't have the patience for Craigslist. Half way between Richmond and DC equals crap-alicious Craig's list for me. Unfortunately, I don't think Furnishly will help me either but it is fun to drool over all of the goodies. I think your the funniest person I've ever met!!! And I love all your finds...and your company last night!!! Hope your feeling better today! Yes, your finds and your humor are always appreciated. I can't stop laughing about that rollback comment. So true! And I'm daydreaming about flaming cheese. Must go back soon! Whoa! This is great! Thanks for sharing. Totally impressed!! I am going to stalk the DC and Baltimore pages right now! You are the best! what a fantastic resource. I never find anything on Craig's list....so I'm glad to have an easier place to look! LOVE this post. Wish I could get my hands on that marble side table or mirrored credenza! Your pups are seriously adorbs. Now following :) Ps. I've got a cute little doggie too, aren't they everything?! HOLY SHITSTICKS...this site is amazing- thank you so so much for the intro!!! 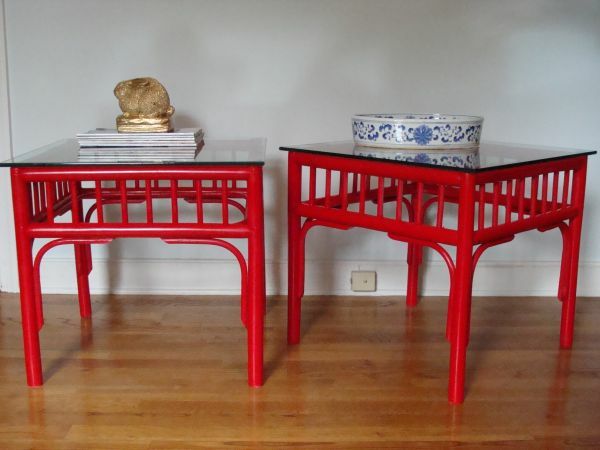 And how lucky are our fellow Chicago friends- that mirrored piece is amaze...as are your red tables my friend! 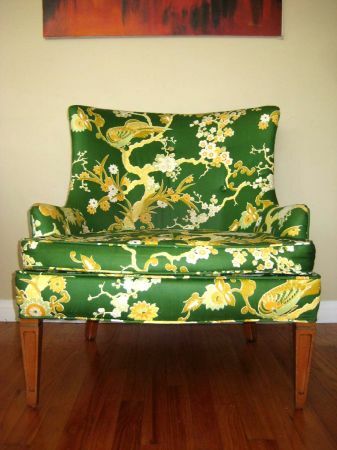 I love looking up old furniture. I am going to have to check this out! thanks for sharing. I agree - so jealous over a lot of those pieces. If only I had a mansion to put them all in! Well I am off to spend hours browsing everything on this site. Drooling over such fab finds! Thanks for the tip, I just checked and they have one in Denver! Woo hoo! You just made my day!! I'm moving and always on the look out for new items! do you know about craigeasy? Jut google it, and then put the button on your toolbar. Do your search on c-list and when the results come up, hit the button. Instantly, all the photos from the post. It has sped up my trolling process by 1000%. I do actually! Also a great resource. I just prefer Furnishly as they weed out the "bad" stuff. Thanks for the tip!!! Had never heard of this site before and woo-hoo, there is one in Tampa. It's now on my favorites bar, so that I remember to check there often. Thx! Greetings from Canada! Have been following your site for many months now, and love! Thanks for your post on Furnishly. Just an FYI, check out www.interconsciousness.com. 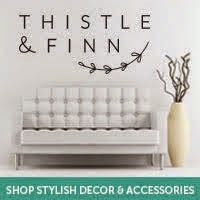 The site just launched on the 7th, me thinks you will enjoy:) The items are uploaded by accredited designers and decorators, but the public can buy...check it out. Presently shipping is free across Canada, but will be adding to US by January. Wow that was just nice. I am sorry not just what I meant is it’s so nice. How these beautiful things came into that beautiful look! You are definitely a great designer. Thanks for sharing your ideas with us.